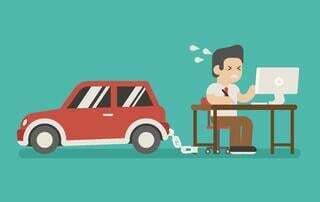 Potential clients often ask a consumer debt attorney whether or not debts owed to the New Jersey Department of Motor Vehicle ("DMV") are dischargeable in a bankruptcy proceeding. The answer depends on the nature of the debts. For example, surcharges are dischargeable (In re Pulley, 295 B.R. 28 (Bkrtcy. D.N.J. 2003)) while DMV liens are not dischargeable (In re Schnick, 418 F.3d 321 (3d Cir. 2005)) and must be repaid through the bankruptcy case or after, depending on the Chapter. Surcharges are fines assessed by New Jersey Surcharge Violation System (NJSVS). Drivers who have excessive points for traffic violations or have been convicted in court for specific offenses such as driving while intoxicated (DWI) are liable for Surcharge. Surcharges are in addition to any court fines and/or penalties and are billed yearly for three years. Surcharges are dischargeable in a bankruptcy proceeding as the monies collected do not "benefit a governmental unit" within the meaning of non-dischargeable debts pursuant to 11 U.S.C. §523(a)(7). Once unpaid surcharges become liens, they are no longer dischargeable. Timing of the bankruptcy filing is everything. As always, it is important to contact a qualified consumer debt attorney who can explain all of the nuances when it comes to determining the dischargeability of various debts. This area of bankruptcy can be extremely complex for attorneys who do not normally practice in the area. Of course, it is never recommended for individuals to file "pro se" (representing themselves) as the process naturally requires the expertise of a trained professional.